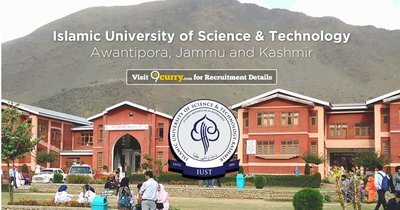 IUST Recruitment 2019 - Walk in for Assistant Director & Assistant Professor Posts in IUST, Kashmir on Temporary Basis. Candidates are invited by Islamic University of Science & Technology to attend walk-in-interview to be held on 19 Feb 2019 11:00 AM for 2 vacancies. ii) Record of having represented the university / college at the inter-university /intercollegiate competitions or the State and/ or national championships. B. An Asian game or commonwealth games medal winner who has a degree at least at PostGraduation level. For having Ph.D. or NET/SLET/SET.